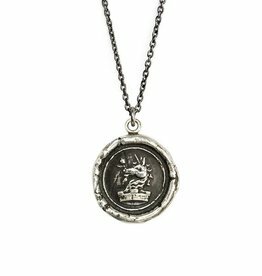 Home / Pyrrha Bronze Nurturing -20"
The mythical and mysterious unicorn is believed to have the power to heal. 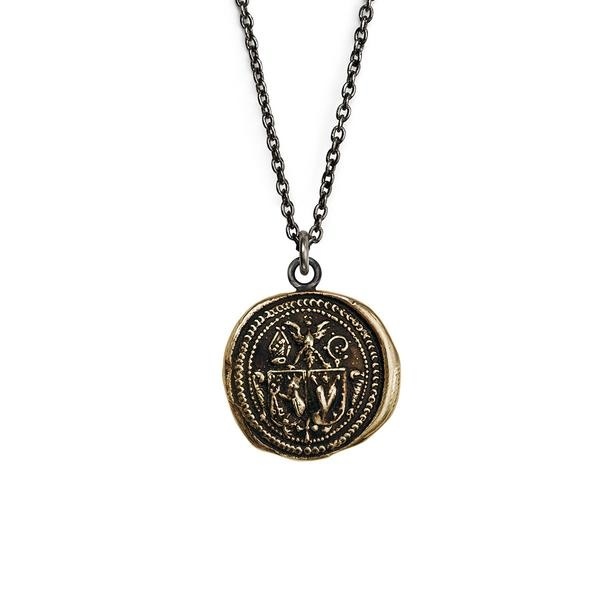 Featured on this talisman with a rose in its mouth, it is symbolic of love. Pyrrha Love and Well Being 18"
Knowledge and wisdom. Accompanied by the symbol of a snake, the owl is a reminder of your gift for seeing what is hidden. 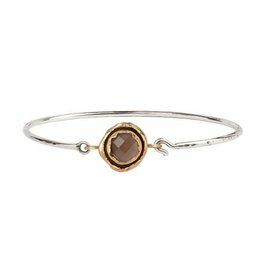 Smoky quartz is associated with a centered and grounded nature. 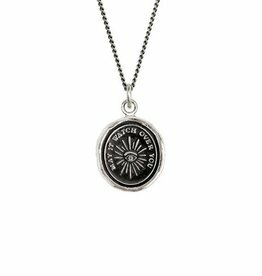 This talisman reads 'May It Watch Over You.' invoking guidance and protection from a higher power. The eye surrounded by rays of light is a symbol of divine providence. 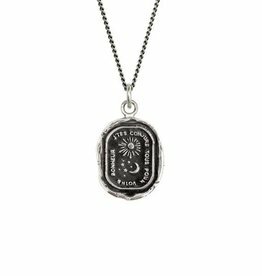 This talisman reads 'J'tes Conjure Tour Pour Votre Bonheur', in French, meaning 'I Wish Happiness For You'. The sun, moon and stars represent love without limits. 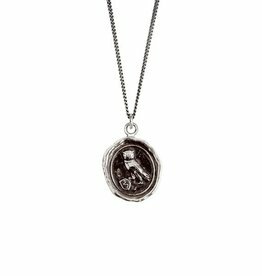 Pyrrha- Everything for You 18"
This talisman features a winged heart symbolic of one's true self and a wreath signifying growth. 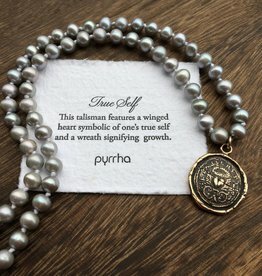 Pyrrha- Grey Pearl True Self 22"
This talisman features a weasel, a fierce creature and spiritual warrior. It is symbolic of boldness and resoluteness due to its reputation of battling much larger enemies to defend its kin.